This is a letter of recommendation for Joseph Sumpter to anyone who is considering most any type of construction or remodeling. First and foremost is his integrity. His honesty is beyond question, and in this day and time this is something that cannot be said by a number of people in this line of work. His craftsmanship is highly admired by many, and he holds his crew to an exceptionally high standard. Amazingly, his estimates were always right on target, and this was most impressive and greatly appreciated. When hidden problems presented themselves, Joseph immediately contacted me and had a number of options to present with both pros and cons about the different plans. My home was built I the 1960’s and had never been upgraded. From roof problems, to replumbing, structural work, remodeled bathrooms, closets, and bedrooms, electrical work, and water drainage challenges he did an amazing job, and upon completion it felt as if I were the owner of a new home. My thanks to Joseph for the exceptional job, and if you want something done properly Joseph Sumpter is the man for you. Joseph Sumpter’s Remodeling Solutions is a dream company–you can rest at ease with Joseph Sumpter in charge and his team at the ready. Joseph will listen to you, understand your values, and creatively solve your problems within your budget. His team members are always excellent at their work as well as respectful, thoughtful, and cheerful. They are, in fact, fun to have in the house. 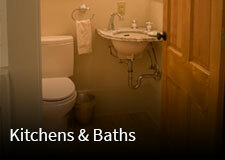 Especially in any remodeling that involves water, I recommend using this company. Joseph understands water, its importance, how it works, and how to get it where you want it and keep it out of where you don’t want it. I recommend this company without any qualifications. 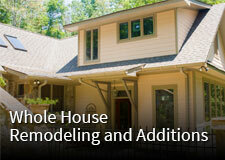 If you hire this company, you will be happy with your remodel. I have known Joseph Sumpter for many years. He is always professional, honest, and dedicated to the task at hand. Several jobs we have developed required engineering decisions based on precise details and overall knowledge of what is required to successfully accomplish the project. Joseph’s thorough use of available information and 26 years of experience as a contractor, coupled with his desire to do the best possible job, are indeed a reputation worthy of praise. It is comforting and rewarding to engage this true professional for any job. Something else Joseph has done is move so much furniture at no extra charge. Joseph said “We always move everything out of the house and back in when we are finished.” He went to Nashville to check out my other house and then moved things back and forth. He went up in the attic and down in the basement to check everything out. He is wonderful. The workmen adore him. He is so good to them. He wants them to understand the business so we all met with the insurance company. He want to celebrate each workman’s birthday, he cares about them. They want to do a good job in return. You feel like everybody is family. I think the most important thing is that they are honest. Joseph is flexible and he needs to be with me, I am always changing my mind. totally trust him. While working with Joseph he has come to know me so well he has put my house together with love and care. He has just preserved everything! Joseph recommended individual air conditioning and a heating system. The air conditioning and heating are very efficient. I can think of three things that separate Joseph Sumpter from other contractors I’ve known: his insistence on perfection, his integrity, and his courtesy. He is incredibly well-informed about new materials and techniques; hearing him talk about them, as he is happy to do, assures you that your job will be done in the best possible way. And it will be done honestly: he keeps his promises and bills you fairly and accurately. And, what’s really just as important for someone who may be in and out of your house for several weeks, he is the most agreeable of company, pleasant, polite, and respectful. The amazing thing is how well Joseph communicates these virtues to all the men who work for him. After they’ve been with him awhile they know nearly as much as he does about materials and techniques. One morning I saw him using a little model he had built of a wall with a window, to show the guys how to install flashing–and filming the demonstration so he could use it again. Another day I overheard the crew talking about, no kidding, the book Joseph had assigned them all to read. And they learn just as much about integrity and courtesy: they clean up carefully, take their shoes off when they come in the house, and leave things as they found them. I was amazed when I saw one of the guys take a photograph of the wall he was about to work on, so that he could hang the pictures back up in the same way they had been. This attitude comes from the top and is shared by the whole crew. In short, Joseph Sumpter is really the best. If you want the job done exactly right, by a contractor you’ll like just as much at the end of the job as at the beginning, he’s your guy. It is a pleasure to talk about Joseph’s work on Andrew’s and my house in Sewanee. Working with him is a joy from start to finish, and we look forward to working with him well into the future. He inherited our project, after our initial contractor left the job. This can be a difficult situation both socially and in terms of the work, but Joseph coped with extreme grace, getting in touch with the first contractor and making the transition easy and seamless for us. The quality of his work is consistently gorgeous. He and every member of his crew are polite, thorough, respectful, helpful and, frankly, delightful. It isn’t often that I can say I look forward to having a work crew in my house, but every member of the Sumpter team is friendly, efficient, and extremely competent. Again and again, Andrew and I have presented an idea to Joseph, only to have him improve on the original idea, coming up with solutions we never would have seen on our own. No wonder the company is called Sumpter Solutions. For just one example out of dozens, when Joseph installed marble counters in our bathroom, he noticed that the marble was translucent. Working with a lighting-design specialist he found in Winchester, he constructed shallow light boxes underneath the counters, so they can be illuminated from below. The look is ravishing and unique, and was 100% due to Joseph’s imaginative energy. 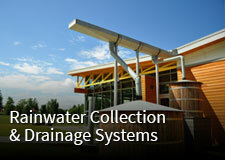 environmental aspects, cost effectiveness, long-term efficiency, and beauty. He thinks about how a house will be used, and designs with the owner’s needs in mind. He is innovative. He communicates wonderfully. He’s organized. He’s tremendously thoughtful and kind. I think I would like to adopt him and his family. As you can see, I love Joseph, and love to sing his praises. I would recommend him in the highest possible terms to anyone interested in construction or renovation. No one will do the work better. “I love the great room best at night, when all the glass reflects light and the whole room seems to levitate just a little”. – 07/19/2012 Erin M.
Ruth and I are delighted to recommend Joseph and the high quality work he has done for us over a number of years. Joseph first started working on our house in Sewanee more than ten years ago. He and his crew have done a variety of things for us. They have painted the house inside and out; they have replaced and repaired siding, and they have replaced a number of our windows. In 2007 Joseph redid our kitchen while we were out of town. The most difficult and, to us, remarkable job was the repair of the mudsill on the back of our house. I cannot with confidence tell you what a mudsill is, but I do know the job involved pulling our deck away from the house and replacing the large supporting stringer that was holding up the back of the house. This was a major and complicated job, and Joseph and his crew did it with great skill and a sense of confidence that was reassuring and well justified. Joseph has established a reputation in our area for being careful, reliable, knowledgeable, skillful, and absolutely honest. Details matter to Joseph, and his work is as close to perfect as we can expect in this world. Joseph’s strong ethical sense informs every aspect of his work from the hiring of craftsmen who care about the quality of the work they do to cleaning up job sites. Joseph and Alyssa are not simply trying to work to make money; they are setting a standard of honesty and excellence that not only satisfies customers, but also helps to raise the bar for anyone in our area doing remodeling work. 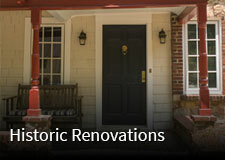 Our community is a better place all around because of Joseph’s Remodeling Solutions. As you can probably guess by now, we are great fans of these young people and the work they are doing. We had a well digger try five times and never found water. A friend told us about Joseph Sumpter who knew how to put in rain water systems. He designed and built a system that has been extremely successful. We now have sufficient water for our entire house. Joseph has remained available for our rare questions and yearly gutter cleaning. He is easy to work with, reliable and honest. We recommend him without reservation. Our dining room is an example of efficient function within beautiful form, built by Joseph Sumpter, a craftsman of extraordinary skill and the eye of an artist. Lighting is the central and most important feature of the room. A triple window with wide window ledge of solid cherry invites house plants. Strategically placed skylights allow life – movement and change – into the room throughout the day. Because of white paint with a slight tint of blue the color of the ceiling changes throughout the day and at night the lights change entirely. The sandstone floor requires little maintenance and creates good acoustics for conversation. A low natural stone wainscoting containing small copper wall lights, manufactured and pierced by hand at foot level around the room provides a pleasing ambience. Joseph worked out the esthetics of how to place each of the cherry wall panels so that the design itself is pleasing to the eye. As a finishing touch, Joseph added a mantelpiece, made from and old cherry branch salvaged by Francis years ago, sanded until smooth as glass and left in its bark. The room is an icon of hospitality.